Even before Star Wars: The Force Awakens was a global blockbuster, J.J. Abrams was one of the most beloved directors in the business. He made his directorial debut with 2006's Mission: Impossible III, which helped revive that franchise, before taking on the Star Trek reboot. As popular as his films are, there is still an aspect that has bothered a great deal of fans, his constant overuse of lens flares, which is most prevalent in 2009's Star Trek, 2011's Super 8 and 2013's Star Trek Into Darkness. But they were practically non-existent in Star Wars: The Force Awakens. The director explained during a recent appearance on Late Show with Stephen Colbert that he stopped using lens flares because his wife told him to. "Katie has told me to stop a lot of things... but with the lens flares, I was like, OK. She was right. There was one scene in Star Trek Into Darkness where you literally couldn't see what was going on. And it was a very important, emotional scene. Alice Eve was somewhere behind this crazy lens flare glaring, and Katie just looked at me and said, 'OK, I think this is it. At this point, you have to absolutely stop doing that.'" The director's wife, Katie McGrath, is a public relations executive, who even served as an aide to Senator Ted Kennedy. Not only do fans around the world owe a debt of gratitude to her for killing the lens flares, but she also helped convince her husband to direct Star Wars: The Force Awakens in the first place. Hopefully the filmmaker won't relapse, so to speak, and flood his next movie with lens flares, but we doubt that's the case. Of course, even if Star Wars: The Force Awakens would have been chocked full of lens flares, it would probably still be a huge hit. The blockbuster has earned $929.3 million domestically and $2.05 billion worldwide, closing in on Titanic's $2.1 billion mark as the second highest grossing film worldwide. With the movie debuting on Blu-ray/DVD/VOD formats next month, it may not be in theaters for too much longer, but there will undoubtedly be theatrical re-releases at some point, which means it could still break some more box office records. As of now, the director hasn't announced what his directorial follow-up to Star Wars: The Force Awakens will be, but we reported just today that the filmmaker is eyeing the rights to the non-fiction book Killers of the Flower Moon with Leonardo DiCaprio. 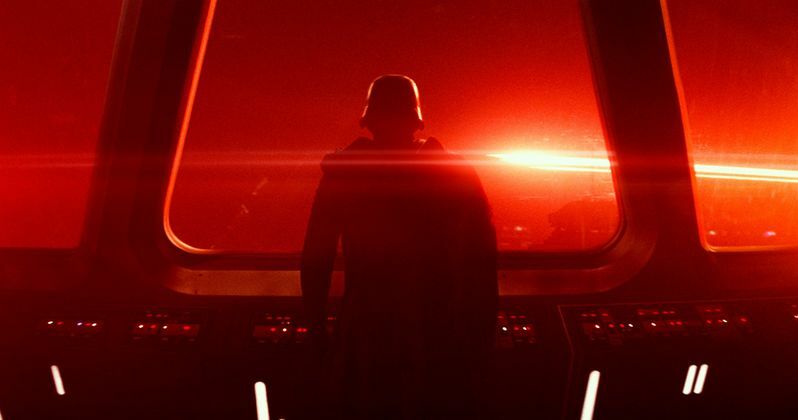 Are you glad the director eased up with the lens flares? Let us know what you think, and check out the video from his appearance on Late Show with Stephen Colbert below.